Because nonfiction books are often acquired before the manuscript is complete, sometimes it happens that the manuscript turned in to the publisher is not fit for publication. Although it is rare, I have twice copyedited projects that were later canceled because the manuscript was submitted in such a state that it was deemed unacceptable. In one case, the sentences simply did not make sense when put together in a paragraph. There’s no other way to describe it. I alerted the publisher of the problem, the managing editor reviewed the manuscript, and when it was determined that the book was not salvageable, it was canceled outright. In another case, I was tasked with cutting 30,000 words—a quarter of the manuscript—in order to weed out the tangents and uncover the true narrative of the book. This author was then faced with an ultimatum: accept these changes or cut ties. The author chose the latter. Under these circumstances, the publishing house has the right to recoup the first portion of the advance. The author has the right to find another publisher. Both are examples of times when working with an agent may save an author considerable heartache and legal trouble. From an editor’s perspective, working with a critique group and employing some heavy self-editing may also have been in order. If you are seeking a traditional publisher, be sure you know exactly what is expected of you before you sign. Open lines of communication with the acquisitions editor regarding how you are shaping your manuscript will also help head off problems. 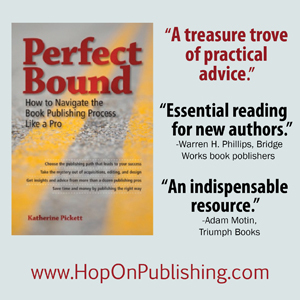 Enlisting the help of beta readers will further aid you in crafting a manuscript that is ready for production. Is Money the New Gatekeeper? In publishing, the gatekeeper is the person who keeps your book idea from becoming a reality. Traditionally that has been the publishing houses and the agents who say “No, thank you” to your proposal. But self-publishing has eliminated those forces. Authors can circumvent the whole agent-publishing house system and put out their own book, in a matter of hours if they so choose, and no one can stop them. To create a book that people will actually purchase, however, you need to do more than just publish your first draft. You need a professional editor and a professional designer (the designer so people will open your book, the editor so they will continue to read it). And those things cost money. So I ask you, Is money the new gatekeeper? I posed this question to some colleagues online and the response from some was that quality is and always has been the only gatekeeper. Having read some of the awful books that have been published, both traditionally and independently, and having read some of the terrific books that may never be published, I can’t say I agree. Quality, while not irrelevant, is only part of the issue. How will you achieve quality? All on your own? Not so for most of us. Curiously, money has become a barrier for those looking for a traditional publisher as well. Particularly with fiction writers, who are expected to approach agents with a completed manuscript, the new expectation is that authors will turn in manuscripts that are publication ready. In fact, one agent I know said while she used to accept a manuscript if it was 99% ready, she now only accepts those that are 100% ready. That was demoralizing to me, and I don’t even write fiction. And for nonfiction writers? Even these authors, who often have their book ideas accepted before the writing is complete, may be asked to pay for editing before submitting the final manuscript to the publisher. If they don’t, the house is fully prepared to end the deal. I have explained before why editing costs so much, and I would not argue that editors or designers should charge less than they are worth. But if you believe as I believe that everyone needs an editor (that is my company motto, by the way), you have to admit that money plays a significant role in whose books get read and whose don’t, whose books get published and whose don’t. In the past that investment came from the publishing house. Now more often than not it is laid at the foot of the author.